The Milwaukee 48-42-0120 model 2-3/4" 18-Tooth/Inch High-Speed Steel Jig Saw Blade (package of 5) is a part of the Saw Blades Series. This blade is made and manufactured for the professional user. It's tooth shape and sharpness make this blade's cuts clean and fast. 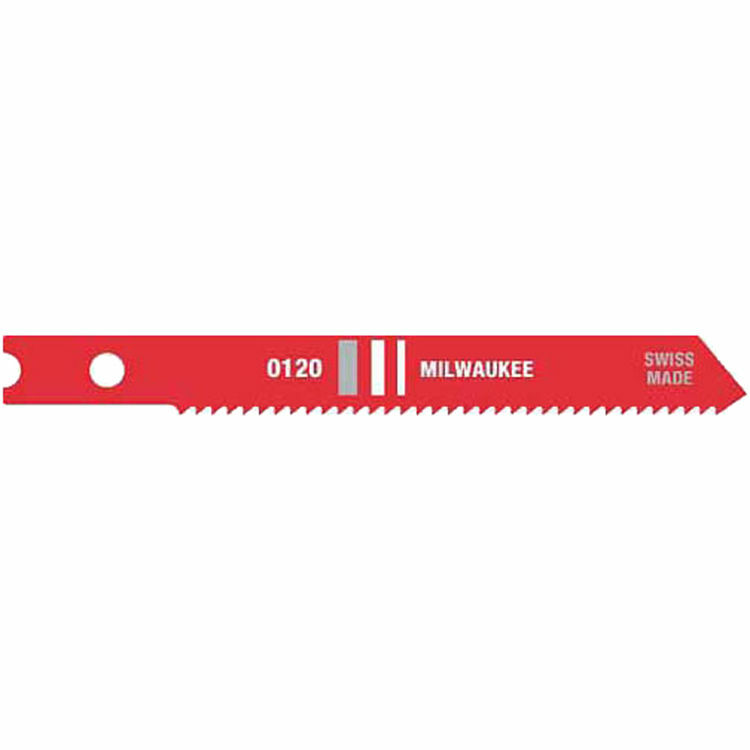 This blade fits Milwaukee's Jig Saw model 6256-6 and other popular brands. Shipping Dimensions 0.2" x 1.4" x 4.6"
For cutting metal over 1/8 inch thick.